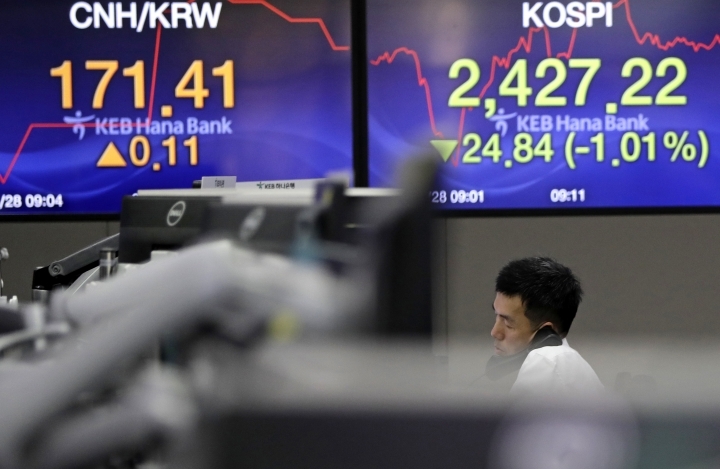 SEOUL, South Korea — Shares fell in Europe and Asia on Wednesday as tech stocks extended losses following sell-offs of their U.S. peers overnight. Investors are selling technology-related shares on concern governments might tighten scrutiny over Facebook after it was revealed that users' data was shared with a consulting firm affiliated with President Donald Trump. KEEPING SCORE: Britain's FTSE 100 dropped 1 percent to 6,930.51. France's CAC 40 slid 1.4 percent to 5,043.96 and Germany's DAX lost 1.6 percent to 11,784.17. Futures augured weak starts on Wall Street. Dow futures fell 0.3 percent while S&P futures also retreated 0.3 percent. 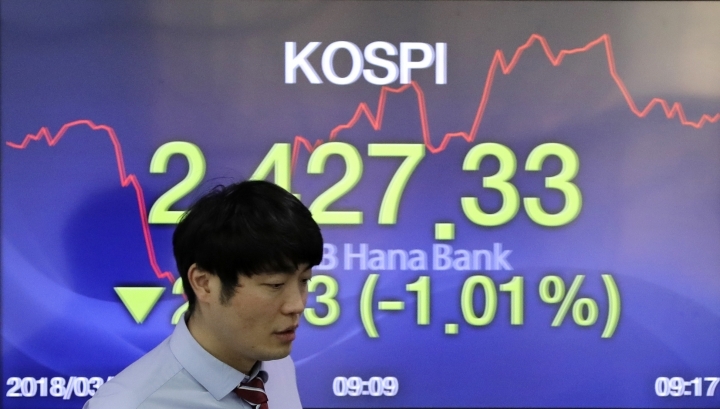 ASIA'S DAY: Japan's Nikkei 225 sank 1.3 percent to 21,031.31 and South Korea's Kospi slid 1.3 percent to 2,419.29. 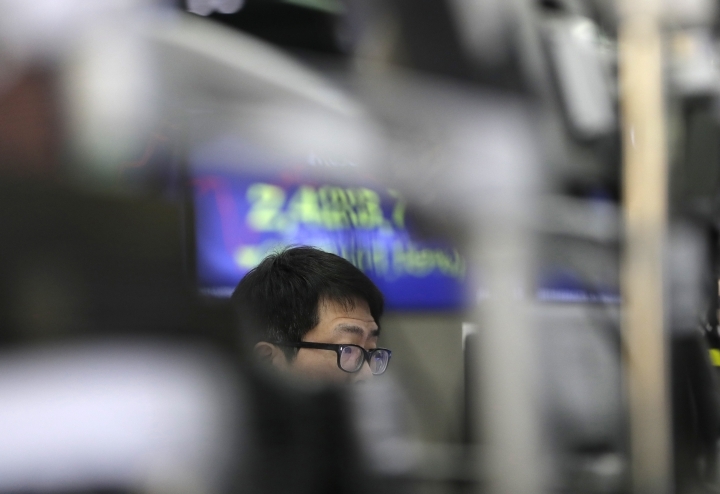 Hong Kong's Hang Seng index sank 2.5 percent to 30,022.53 while China's Shanghai Composite Index dropped 1.4 percent to 3,122.29. Australia's S&P/ASX 200 retreated 0.7 percent to 5,789.50. Stocks in Taiwan, Singapore and other Southeast Asian countries also fell. BAD DAY FOR TECH: Investors cut their holdings of Asian tech stocks after a series of incidents sent their U.S. peers lower again. One of those cases is a report that authorities will investigate a fatal crash that involved a Tesla electric SUV equipped with a semi-autonomous control system. In Asia, Samsung Electronics Co. fell 2.6 percent and Sony Corp. lost 1.1 percent. Softbank Group Corp. slumped 4 percent. Tencent Holdings Ltd. was down 4.6 percent. ANALYST VIEWPOINT: "So what spooked markets? Well, it looks like the rearing of the (ugly) Facebook privacy infringement was a convenient excuse to sell-off ahead of the long weekend," Mizuho Bank said in a commentary. OIL: Benchmark U.S. crude lost 68 cents to $64.57 per barrel in electronic trading on the New York Mercantile Exchange. The contract declined 30 cents to settle at $65.25 a barrel on Tuesday. Brent crude, used to price international oils, fell 52 cents to $68.94 per barrel in London. CURRENCIES: The dollar rose to 105.64 yen from 105.34 yen. The euro fell to $1.2386 from $1.2404.